Thanks for bringing this topic up again. It is needed like maple syrup on a pancake. Some play the race card (whether they are racist or anti-racist; for instance, when someone “loses” a competition because they think it happened because of her/his skin color, etc. ), and it always leaves a bad taste in the mouth. Understand me clearly: I am not talking about straight-up racism – that is despicable. But, and this is a big, fat but…nothing beats the miasma of playing the “grace card” to cover up Protestantism’s evil acts (Reformed nonsense and Calvinism, in particular). It simply is a rotten piece of rotten doctrine from a decaying, evil, disgusting, crime-hiding, crime-condoning cult. Indeed, there is no justice for the victim when this damnable grace card is played. Victims remain faceless while the bloody criminals get away with celebrity airtime and I-am-just-a-sinner-like-you pats on the back and pardons from his (mostly his, huh?) partners in the false gospel crime. Utter guano! In the meantime, we who kind of know what the real world is, sit with the real victim…with her tears, her broken dreams, her broken body, her broken spirit, her violated virginity, her scarred womanhood, her fears, her tortured soul, her nightmares, her illnesses that manifest because of the crime. Susan, indeed we can. Damn Calvinism to hell. Thanks Paul. A great explanation of the situation and it’s many ramifications, that sadly, many will never understand or refuse to “get”. I do know that this is a repost but still wanted to comment. Making “total depravity” an excuse for molestation is to deny Jesus’ complete and completed resurrection work. “I/we are just a sinner/sinners saved by grace.” is a total lie and we know who the “father of lies” is! For the true believer, Christ made it so that we are no longer slaves to sin because we are now dead to it. “knowing this, that our old self was crucified (with Him), in order that our body of sin might be done away with, so that we would no longer be slaves to sin;” – Romans 6:6. Now we are slaves to righteousness! “What then? Shall we sin because we are not under law but under grace? May it never be!’ – Romans 6:15. It is clear that (rotten) fruit is not consistent with being “born from above”. In Galatians 5 we read that the fruit of the Holy Spirit includes self control. Not predeterministic remote/robotic control. “22 But the fruit of the Spirit is love, joy, peace, patience, kindness, goodness, faithfulness, 23 gentleness, self-control; against such things there is no law. 24 Now those who belong to Christ Jesus have crucified the flesh with its passions and desires.” Here’s a question for everyone, do the reformed, Calvinist, protestants understand belonging to Jesus? In the way Galatians 5:24 describes? I don’t think so. The institutional and let’s not forget, the business model of “church”, were never intended or approved for God’s ecclesia of whom Christ is the only head. We are the children of God, “But as many as received Him, to them He gave the right to become children of God (even) to those who believe in His name” – John 1:12. Not his CEO, employees or focus group team. Pragmatism measures success by worldly metrics. More bodies in a building/butts in seats is not what making disciples is all about. Nor is covering up the violating of children. 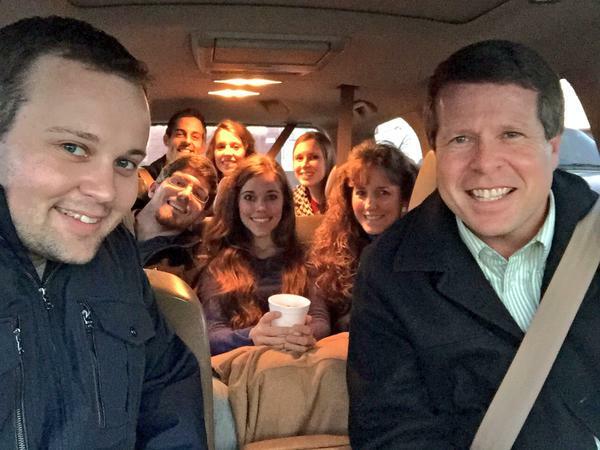 The bottom line is that Duggar and others of his ilk had choices. Perhaps they did not believe that they had a choices but they still did. Their own seduction by, and abuse of power plus hermeneutic – distorted the clear message of the New Covenant. Maddeningly, sadly and tragically, to their victims’ detriment and to their own. Alan, to answer your question about whether that lot understands what it means to belong to Jesus. No, they don’t; they are clueless because they are in a cult. Their “jesus” is another; their “gospel” is another; their “god” (a spiteful, vengeful, hateful) is another. And their ‘Holy spirit” is everything but…holy. Their “salvation” is another, and, really, there can’t be “another” salvation. There is but one salvation, as you suggest. Great thought and truths, Alan. Thank you. I am convinced that Calvinism/Protestantism has many signs of a cult. There are several Bible based cults as we know. Simply claiming that one’s beliefs and views are scripturally valid does not not make them true. We also know that there are two main things that Bible based cults do that make them wrong. 1. Cults alter the true foundation: The Bible and the teaching of Jesus and the Apostles. 2. Cults present an alternate foundation: The writings of Calvin and Luther. Derived from Augustine & Plato as you mentioned. We obviously see that C/P meets these basic criteria. The Gospel is the good news of Christ’s completed work on the cross and all that truly entails. usThe Calvinist/Protestant alters this completed work in such a way that it requires a member of the highest caste, a philosopher king if you will, to explain it to the unwashed masses. Those persons replace the true gospel with John Calvin’s and others unscriptural musings and falsely present their alternative as truth. And to respond to you point about about the C/P types not understanding that believers actually belong to Christ, I agree with you. They don’t. I doubt Calvin was born again, he spent too much time governing the city state of Geneva with Mosaic Law. I consider him a serial accessory to murder. Research Michael Servetus if you have not already done so. Servetus was a brilliant Spaniard that Calvin had executed at the age of 42 in a most cruel manner. There are a lot of websites that try to explain away the execution and exonerate Calvin as far as his part in it, but I don’t buy their spin and I doubt you will either. This issue recalls to my mind the time I spent in my King James church. I was initially attracted to it because the people there interpreted the Bible grammatically, yet were not legalistic yahoos. The New Birth was emphasized-many a deacon would get up and testify that they could point to the time and place they became a new creature in Christ. I enjoyed how laid back it was. When I volunteered to put up a website, the pastor said go for it, and let me put it up with no oversight review first. He just trusted the Holy Spirit would use me to do a good job. I was impressed with how this congregation had been together for over fifty years, and they were a lot like a family that was so welcoming to my family who had just moved to town, that I was enthusiastic about joining. Well, the only thing that seemed amiss was my Sunday School teacher; he was pretty weird, and everyone knew that he was a jerk, but what are you going to do, right? At church camp, it comes out that he’s been inappropriate with the preacher’s granddaughter. Unlike other churches, this wasn’t swept under the rug. He was turned into the authorities and I saw his mug shot on the news while getting my kid ready for school that day. I later learned that the offended girl’s grandmother (not the preacher’s wife) made it clear to the perp that if he EVER showed his face around that church again, she would stand up and publicly humiliate him to the fullest. The perp’s brother was our youth pastor and come to find out, he knew that his brother had a problem like this in the past and did not warn the congregation. This is where the institutional nature of church caused a breakdown. The preacher didn’t want to fire the youth pastor because he had four kids and it would be taking bread out of their little mouths. I’m sure there were other issues as well as I was never in the loop. The preacher’s own sister, a lady in her 70s, quit church in favor of supporting home fellowship, which I thought was quite a testimony. So it was the integrity of the people in this church that attracted me to it. Many of them would rather burn the church down than let a child get molested in it. I think the internet is going to dramatically change the church. I know I’ve learned exponentially more about theology and the Bible from guys in the ten years I’ve been searching on why church is so messed up. I’m sure other people are going to be embarking on the same journey and hopefully they will find the true Gospel of the New Birth. Republican mother, your comments rock like a mountain. Thank you. So few will say it. I get pummeled every time as if I think I am sinless perfection. The entire premise is wrong! Republican Mother …. I am certainly not an expert. With that caveat, my understanding is that there are three different Greek words representing three different “tenses” of the word “save” — past (I have been saved), present (I am being saved) and future (I hope to be saved). I understand “I have been saved” as the “new birth/ new creation” and as a past tense event. Call that justification. I understand “I am being saved” as the process of spiritual maturity and growing in holiness which is happening in the present as I live day by day. (This happens through prayer, study of Scripture, seeking to do/ live God’s will, following the Holy Spirit, obedience and keeping God’s commands.) Call that sanctification. I understand “I hope to be saved” as the future redemption of our bodies after our death and upon entrance into heaven. Call that glorification. Now Paul, Andy, John and anyone else may come along and tell me I have it wrong. And maybe I do. That is what I understand (and I am NOT a Greek scholar by any stretch of the imagination). I am not Protestant and I have absolutely no desire to be Protestant. The “preach the gospel to yourselves every day”, “we are simultaneously saint and sinner,” and a whole series of New Reformed cliches are 180 degrees contrary to what I read in Scripture. Calvinism is from the very pit of hell. Luther was probably manic depressive and obsessive compulsive (i.e., religious scrupulosity). And from my estimation, things have only gone downhill from there over the past 500 years. What I see Protestantism doing is denying the new birth/ new creation. If I am depraved and a sinner as a Christian and if I am depraved and a sinner as a non-Christian — then what is the point? Say a prayer, profess certain beliefs and it’s all good? As long as I am sincere? Did I not read somewhere that faith without works is dead? Did I not read somewhere that only that which is holy will enter heaven? These things seem like stating the obvious to me. But many in Protestant-ville are truly oblivious. Lydia, I think your comments rock too. I have said it a thousand times: a born-again believer cannot be both saint and sinner. Then what is the point? You are right! Calvinists may enjoy their evil Dr Jekyll and Mr/Miss/Mrs Hyde see-how-humble-and-full-of-sin-I-am-all-for-God’s-glory roleplay (oh, they are into roleplay more than you may know, Lydia; and yes…that way too). Indeed, what’s the point of the New Birth? Of Jesus’ death, burial, resurrection? When we put our trust in Him, we were saved. Done deal. Now, concerning Luther…besides the true things you have written about him, he was also a foul-mouthed woman hater and hater of Jews. You’re intelligent, Lydia, go look up some of his quotes. There are some on this site, I think. Yes, yes, yes…Calvinism is from Satan, and one day it will adorn the walls of hell. “What I see Protestantism doing is denying the new birth/ new creation.” Yes, 100% correct. The only point I was trying to make is that the New Calvinism junk would never be permitted to be taught at that church because they scrutinized every study book to “test the spirit” on it. The result of this was that there wasn’t a lot of this guru “let’s buy the newest book by so-and-so” and going to this and that conference activity. Just your Bible and you. Bubba Bob Mountain Man would tell these Calvinists that they have the “Spirit of Antichrist” on them. Yes, I knew a deacon who would tell that to Mormon missionaries. No one at this church believed in total depravity. In fact, I didn’t know that much about Calvinism until I encountered it in the Baptist churches in the area I now live in and instantly recognized how satanic they were from the discipleship I received at this church. That’s when I discovered this blog in my wondering of what in the world was going on in these churches! Yes, most people would have found it a backward place, but I loved the simplicity of the Gospel preached there- you are a new creature in Christ, but still have an old nature. If you choose to continue living in the flesh, God will deal with you in the flesh: chastise you or even take you out of this world, but you are sealed until the day of redemption because he will not deny his own child. The smart move is to live in the Spirit. God want us to worship in Spirit and in Truth. Many people have the Spirit: Satan can’t take that away, but the Truth is one area where he can obfuscate things. This is where the institutional church is so messed up. It makes me think that when Christian persecution ended is when Satan got the church sufficiently institutionalized to become ineffective. Republican mother, that is incredible. I have never heard of such in any church. I woukd like to see all the church organizations that looked the other way for so long –collapse from shame and sorrow for their callousness and deception up the caste chain. They don’t deserve to exist. Why people are so naive over such heinous tolerance of evil, I will never understand. They love their buildings and traditions more than people or Christ. One thing I learned to do after all I witnessed up close and personal in Christendom is to check my rationalizations. Like Susan, my view was ‘what is the point of it all’ if there is no change? I made a sort of joke with a friend who excused and rationalized so much evil from her favorite gurus. I called them evil Christians. She thought all Christians were evil. It is the new normal! Evil Christians! Ok, so lock up the children and hide the silver, the Christians are coming to visit? What would be the point of such fellowship? Could there even be any? I did a bunch of research on metenoia because I could not figure it out. How can such fake, deceptive people be the real deal? Where was that “self control” fruit? I was raised in churches very different from what I see now. Being an honest person of integrity was just part of Christian basics. Now, it’s not even registering as important at all. It’s actually referred to as “works” or even “law”. But metanoia is a condition of salvation. Repent and believe. Repent is not saying, ‘sorry” and continuing. So, I am constantly checking my rationalizations. And of course, these are between my Savior and me considering the circumstances. But I sure can protect myself and my family from snakes masquerading as believers. My working proverb is, gentle as a dove, wise as a serpent. This is where I think the practice of Christianity is the rubber that meets the road. While Christianity is simple, it is not easy. Not at all. It is constantly in tune with the Advocate checking our rationalizations before we act. John, very familiar with Luther. I love history and many years ago I read William Shirers , “Rise and Fall of the Third Reich”. (He was actually there working for Murrow) He had a whole sub chapter on how Luther’s writings were used to bring the Lutheran church into party allegiance. That got me interested in Luther from a doctrinal aspect not just historical.